Over the last few weeks, I have shared how we began, the tip of the iceberg on how to start getting ready for the real deal including some of how we chose our curriculum for this year, our basic plans for this year, and also our first week which included ideas for 4th of July lessons. Today, I want to delve a little deeper into one of our first unit studies, geography. Here, you will find our overall timeline for our continental studies as well as last week’s lesson plan. I will share our books, crafts, and activities on Facebook and Instagram as we accomplish them but I would love to have some families join in! To get started, we colored, cut out, and laminated the bookmarks and characters pictured above. They are from Angel Street Mom’s Reading Around the World post and she even has clothing cutouts for some of the countries her characters visit! To compliment the characters, I also printed out these free booklets from TeachersPayTeachers.com. I love how all of the aspects are included and plan to reuse these each year for review as we emerse ourselves into facts about world around us and shift from continental studies to country studies. Once we have colored them in, we will laminate them to keep as more personal dry erase flash cards. On top of this, we also have individual continent sheets to color as we begin each one but I cannot remember where I downloaded the file from and it specifically states that hosting the images is not allowed. Sorry! You will see some of these as we finish them though and perhaps you can find ones that are similar. As you will notice, they are very basic and not detailed at all other than lines to practice writing the continent’s name. One of my favorite parts about continental studies for this age group is introducing them to the concept of maps and more specifically the Beginner’s World Atlas by National Geographic Kids. I cannot rave about this atlas enough as it is simply incredible for little ones! The photographs are bold, bright, intriguing, and captured our girls’ attention immediately. They both suddenly were busting with questions about the oceans, lands, countries, people, and so much more. It was incredible sitting down and watching their awe as they rationalized (as well as a 5 and 2 year old can) just how big our planet is! With their little minds swirling, we moved on to Nine O’Clock Lullaby. This book took us on a journey from Brooklyn, NY all the way to China past the Atlantic, and back again across the Pacific sharing what time it would be there and what the people would be doing. From bedtime stroies in New York to a noon time barbeque in Australia and so much more. After talking about the maps and touching on the time zones, it was time to look at how this all affects our family directly. 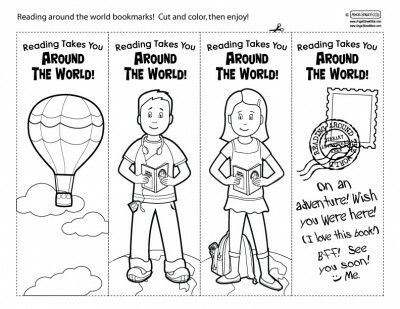 I love the book Me on the Map for this as well as the activity I found on Pinterest. There is a great version over at Teachers Pay Teachers (you can see it here) but I will be making our own variation using construction paper and card stock later today. We will also sing the continent song I found from Wise Little Owls. After that, we’ll be ready to start studying the individual continents! Below, I will lay out our schedule for the continents including the books that will go with each. There are a few breaks thrown in for history, science, or holiday units but this should give a general idea of what to expect from our family as far as the continents are concerned. Please remember that this year is a basic introduction. We want Aryanna to know the oceans, the continents, and the basic differences of their native people. The purpose of our teaching method is to group our lessons by understanding instead of grade while expanding each year on the previous year. I have my reasons for the ordering and you will see that more as we progress throughout the year. I have included direct links for your convenience and a few of them are affiliate links. Purchasing through them will bless our family for all of the work we have been sharing but will not change your price at all. Thank you to everyone for joining us on this adventure while supporting our journey, and I really do hope to see you following along with this unit!